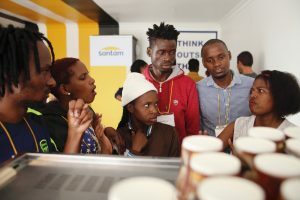 12 young people from Soweto participated in a barista training programme. What makes this training extra special is the fact that the participants are hearing impaired. Training was communicated through a sign language expert. This workshop was co-funded by Top Talent Solutions and Klagsbrun Edelstein Bosman de Vries. infrastructure and communications platforms and access to earn a livelihood to youth in all underserved and urban communities. Africa’s Got Game has developed an incredible network within the Soweto community. 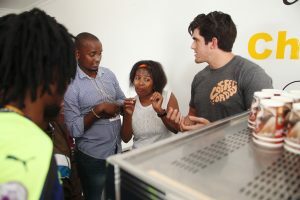 Through this network, Africa’s Got Game identified the participants for the Barista Workshop and provided the training space at Builder’s Box in Jabulani, Soweto. CoffeeDaddy is a NPO with the aim to develop and up-skill previously disadvantaged individuals to become confident baristas and entrepreneurs in the coffee industry. The skills learned will enable participants to start a career in the hospitality industry as a trained baristas, to start their own coffee shop or kiosk, or even to train other people. In South Africa many children grow up without a father figure at home. There are various reasons for this and it not only has to do with absence due to death but also includes work related absence and broken families. Coffee Daddy NPO’s aim is to combine these two concepts namely training of world class baristas and being coaches and mentors for adolescents and young adults, hence the name Coffee Daddy. 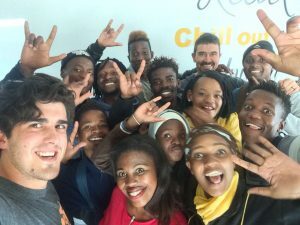 Coffee connects people and Coffee Daddy wants to coach and mentor young South Africans to become young, confident baristas either in the formal or informal sectors.